1. 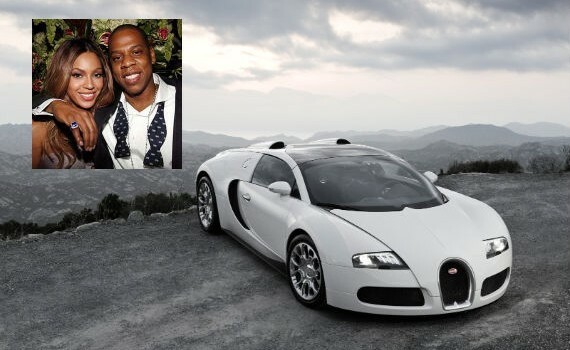 Jay-Z – Bugatti Veyron Grand Sport – the fastest car in the world. He already owned a Rolls Royce Phantom, Ferrari F430 Spider, a Maybach 62S and a Pagani Zonda Roadster. 2. David Beckham – Rolls-Royce Phantom Drophead Coupe. In his garage you can also find a Porsche 911, a Jeep Wrangler, a Ferrari F430 and Lamborghini Gallardo V10. 3. Brad Pitt – BMW Hydrogen 7, a hydrogen fuel-cell vehicle. 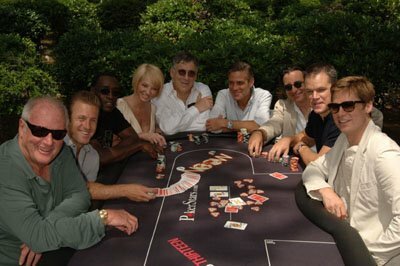 Maybe, Brad Pitt can give you a poker lesson for free, and you could buy this powerful car, or you could visit a new 888 poker online site for UK players. 4. Angelina Jolie – The first choice of Angelina Jolie for a vehicle to drive is a Lexus LS 460 F Sport model. 5. Jennifer Aniston – Range Rover, a large luxury four-wheel drive sport utility vehicle. 7. Madonna – a BMW 7 series sedan (and you should know that this car is not the greenest vehicle on earth but its 4.4 liter V8 engine can produces power of 333hp) . Madonna also owns the prestigious Audi A8, a Mini Cooper S and a super luxury Maybach 57. 8. Justin Timberlake – he has a fascination for high end luxurious cars including Lexus RX 350, Audi A8 and Audi Q7. 9. Tom Cruise drives a luxurious Bugatti Veyron but also a Porsche 911- a luxury 2-door sports coupe. 10. Simon Cowell owns a luxurious Bentley Azure convertible but also a Bugatti Veyron, a Mercedes SL55 AMG, a Range Rover, an Aston Martin DB7, a Ferrari California, a Bentley Continental GT, a Lamborghini Gallardo Spyder and the list could continue. He is for sure in top of the owners of shiny, super fast and super power cars.